I recently stayed at the Sanctuary Cap Cana in Punta Cana, Dominican Republic. I’ve been all over the world and stayed at beautiful hotels, but I have to admit this might be my new favorite or definitely a close second. The grounds of this hotel were breathtaking, and everywhere you looked had stunning views. We came at a really quiet time of year and it felt like we had the resort to ourselves. Our package was all inclusive food & drink, and the restaurants on site were all great. The pool and beach were beautiful- the water was amazing. The grounds of this resort is huge, there are different areas to stay. There is a castle where the spa is located with rooms and suites with private pools. There are beautiful villas, junior suites, and regular rooms offered as well. I love this place because it feels like 5 star luxury, but reasonably priced. We stayed in the 2 bedroom Royalty Villa right over the ocean. Check out my pictures! I was in heaven. 2 bedroom, 3 bathrooms, living area, huge patio deck on the ocean with a cabana and lounge chairs, our own pool, jacuzzi bathroom tubs over looking the ocean, rain showers etc. It was incredible. You could enjoy the day out on your own private deck or take a short walk to the beach or resort pool for some action. But it was nice to have the privacy when you desired. Truly a stunning villa. If you are a couple staying at Sanctuary Cap Cana, I suggest staying in a castle suite. 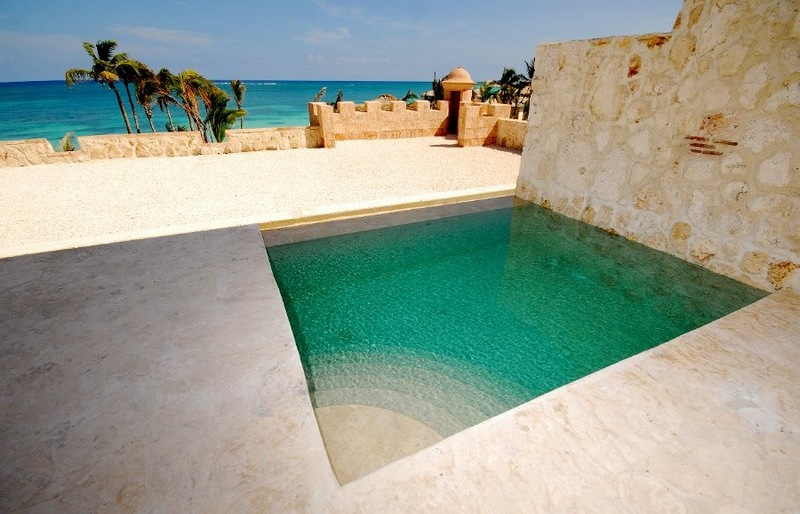 It has its own pool on top of the castle with ocean views. It is a two story suite. The rooftop on the castle has it’s own private pool with a bar too (separate from the main resort pool) if you don’t want to stay in your own suite all day. There are regular rooms in castle as well if you don’t want a suite. The castle is exquisite and the views are absolutely stunning. Please check out the hotel website for more pictures of the Sanctuary castle. TOOK SOME AMAZING SPONTANEOUS PICTURES!